Entries tagged with “Eric Bulpitt”. JAN Michelin Star restaurant chefs open Le Petit Manoir restaurant in Franschhoek! 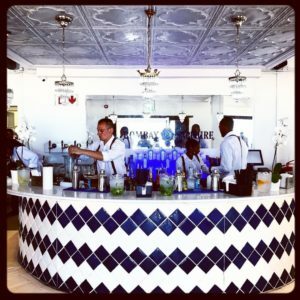 Cape Town and Winelands Restaurant openings and closings, chef changes: April 2018 update! New restaurant openings in Cape Town and the Winelands appear to still be on the slow side. Former JAN Head Chef Kevin Grobler has returned to the Cape. Very sad is the recent tragic passing of Aimee Josten, an important half of the award-winning Karoux restaurant in McGregor. De Volkskombuis has reopened in Stellenbosch after an extensive renovation, while The Big Easy is no longer operating in the town. Eric Bulpitt is the new Executive Chef at Pierneef à La Motte. Restaurant Review: Bootlegger Café and Grill in Constantia offers good quality menu with variety and excellent coffee! La Colombe appoints creative Pastry Chef André Steyn, raises the bar at the already excellent restaurant! 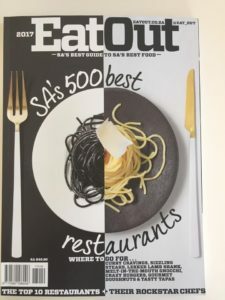 The Inside Guide ‘The 10 Best Restaurants in Cape Town 2017’ misleads! Eat Out Awards 2016 blooming slick, Gregory Czarnecki of Waterkloof Chef of Year! 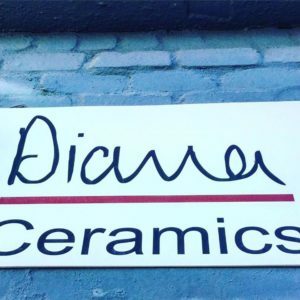 Diana Ceramics ‘fires’ up SA restaurants to excellence!